Australia’s most emissions-intensive brown coal power plants will need to close for the federal government to hit its 2030 emissions targets, according to a new report for RepuTex. 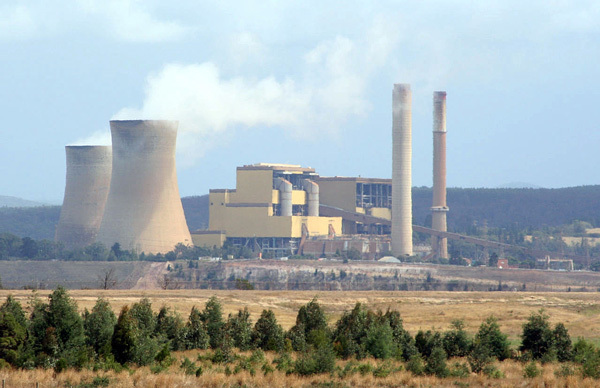 While the government’s emissions reduction target has been described as inadequate on the global stage, the cut of 26-28 per cent on 2005 levels would necessitate changes in “non-negotiable” sectors such as electricity generation, mining and land-use, the RepuTex report said. “The electricity generation, mining and land-use sectors will contribute over 50 per cent of Australia’s emissions growth to 2030, while at the same time these sectors represent our greatest opportunity for emissions reductions,” RepuTex head of research Bret Harper said. Mr Harper said early action would have a “compounding effect” on the abatement challenge, however policy intervention was needed. The current Emissions Reduction Fund and lower Renewable Energy Target was unlikely to trigger any substantial change in these sectors, he said, with just 300 million tonnes of abatement projected to occur through to 2030. To reach the goal, 2.5 billion tonnes of cumulative abatement will be needed, according to government predictions. However RepuTex estimates the figure to be under two billion tonnes, due to reduced economic activity. “Together, we estimate the electricity generation, coal mining, LNG and forestry sectors can reduce emissions by almost [three billion] tonnes by 2030. This is more than Australia’s entire national emissions over the past five years” Mr Harper said. Under current policy settings, RepuTex says brown-coal generation will be locked into the economy at the expense of what is says are cleaner fuels, such as natural gas. “Due to increasing gas prices and growing demand, market dynamics favour brown-coal generation, which is the lower priced dispatachabe generator in Australia,” Mr Harper said. “As demand returns, we see brown-coal increasing its output, and even if demand falls, we expect high cost black-coal will be the next to exit, so emissions will increase as brown-coal generators pick up any gap. Repute said “new emissions compliance policies” were needed, such as a strengthened emissions baseline scheme, or the ALP’s emissions trading scheme. The forestry sector was another key to reaching the target, the report found. “The emissions reduction potential of the forestry sector is almost as large as the electricity and mining sectors put together, with almost half of all analysed abatement opportunities expected to be derived from forest management, avoided deforestation, and reforestation activities,” Mr Harper said. “Forestry is clearly Australia’s emissions ace-in-the-hole, and enables Australia to fulfill its abatement challenge through domestic investment, which drives co-benefits such as job creation.